Made from an exquisite half woven devore type fabric in a delicate shade of dusty pink, with a luxurious crunkled silky lining. With beautiful bow detail at the front and horizontal pleats at the hem and cuff. Wonderfully over sized for maximum flattery. Louisa has loose fitting arms that finish just above the elbow. The dress is ankle length and fitted at the shoulders for an ultimately flattering shape. 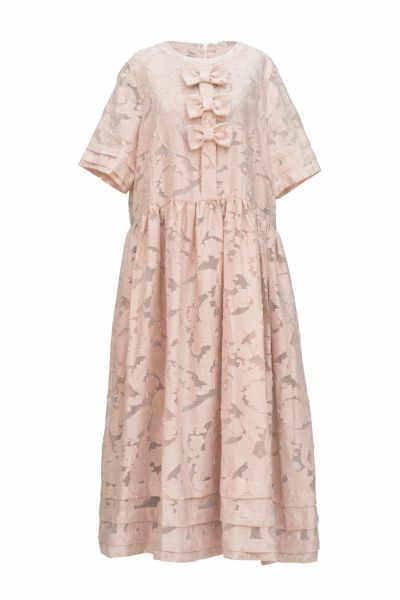 Bows down the front make this a beautiful and festive dress that will lighten up any occasion.